Honda Racing boss Nick Fry says three potential buyers for the Formula One team have emerged since the Japanese company said they were pulling out. Honda revealed on Friday that they were quitting for financial reasons. 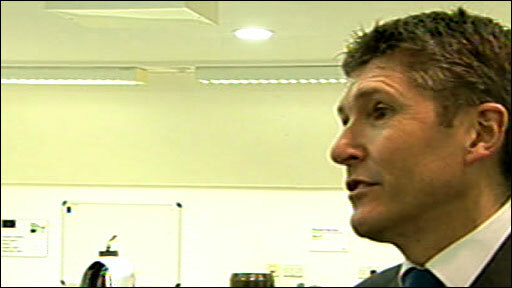 "In the last 12 hours we've had three serious people come and suggest they'd like to buy the team," he told the BBC. "We're one of the best-funded teams and have the best assets and resources in the pit lane - we'll be quite a desirable asset for somebody." Despite a sizeable budget, Honda have struggled in recent years, their sole victory of the modern era coming at the Hungarian Grand Prix in 2006. But Honda's investment in the project means the team - based in Brackley, Northamptonshire - is a rare opportunity for anyone looking to enter F1 to buy a state-of-the-art facility at a knock-down price. BBC sports news correspondent Adam Parsons says the team is for sale for £1 - although any buyer would need to find a budget in the region of £40m to operate it in 2009. They have spent much of 2008 working on their 2009 model car, designed under the leadership of Ross Brawn, the man who masterminded seven world titles for Michael Schumacher. 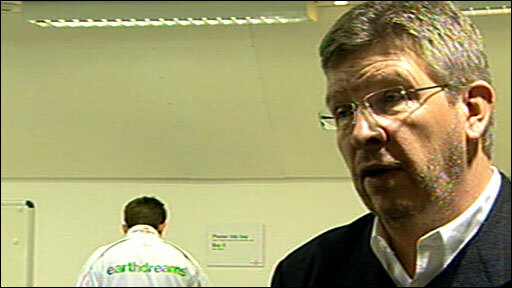 Brawn said: "Honda are keen to preserve the team. It's a fantastic opportunity for someone to step into what will be one of the most competitive teams in F1 next year. "Fortunately it gives us time to react. If it had happened closer to the season it would have been much more difficult." Brawn emphasised that Honda had effectively written off 2008 from a very early stage in the season to concentrate on their 2009 design. "It's a fantastic opportunity for someone to step into what will be a very competitive team next year," he said. "The facilities here are one of the best in Formula One, the workforce is definitely one of the best in Formula One and we have got a great car design for next year. "I am sure we will get a lot of interest. It is filtering that out into serious proposals and understanding what level the investors or new owners would want to operate at. "We have got aspirations to be at the front of the grid and we want to find people who have the same ambitions." Former F1 team boss Eddie Jordan, who will be a pundit on the BBC's F1 coverage next year, said: "Every couple of decades some real jewel in the crown comes along that you could say, 'wow if I had the money this is absolutely the deal for me'. "This is one of those occasions. You have the best facilities. You have two outstanding drivers who both know how to win, you have Ross Brawn who has won seven world titles with Michael Schumacher. "Having listened to what Ross Brawn said earlier, I feel he has a good indication that there are some private buyers there." Although Fry admitted better race results would have helped their situation, he insisted they were victims of the wider world financial crisis. "All motor companies have been struck very hard by falling sales," he said. "Clearly, more success on the track would have been nice but it's a bigger picture issue and this year we've been developing a car for next year. "We're very hopeful, as are most commentators, that we'll take a big step up. It's a big opportunity for somebody. "We have 700 people working for the team. It's business as usual - we have to go through the usual three month consultation period with staff to decide the future of the company and during that period we're hoping we'll find a buyer." Fry insisted that Englishman Jenson Button, rated as one of the finest drivers in F1, was still under contract. "Jenson Button has a contract with team for next year," Fry said. "If we can find new owners we hope he can continue with the rest of them. "He's been very much an integral part for years, he's a big asset which hopefully will make the team even more attractive, the second driver position is undecided."